Singer, composer, performer and percussionist Jabu Morales, a lover of traditional rhythms, first discovered music thanks to her body. She started with capoeira before letting herself be drawn into new ventures. She became involved in maracatu de baque virado in Recife then in tambor de crioula in Maranhão. From then on, music and dance, body and voice, evolved together. Jabu brings her personal touch to the projects in which she is involved: Baque de Maracatu Trovão das Minas, Orchestre de Percussão Groep Elephant, Sarandeiros, Bantuquerê and Tambour de Crioula de São Benedito. She is also developing her own projects, blending popular language and impressions on the world, bringing together digital and analogue, tradition and contemporary sounds, synthetic and acoustic, dissonance and resonance. Jabu is now living in Barcelona. She coordinates Maraca Mandacaru and takes part in the artistic direction of the group Tambor de Saia. 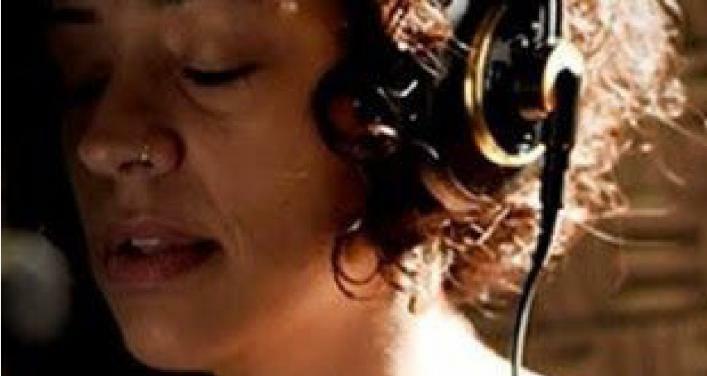 Up to now, she has put out three albums: Grabo Jabu in 2010 and Malungo in 2015, as well as composing, arranging and recording Universo Brasilis in 2016 in collaboration with guitarist Nicolas Sánchez for the Sarao Music digital library. The album conveys the gentleness of Brazilian melodies through simple and universal arrangements.